More than an eco-lodge or a farm, La Donaira is now betting on the health of its clients. And as the Taoist saying goes : « to always remain in movement is key » / « Stillness is dead, movement is life ». 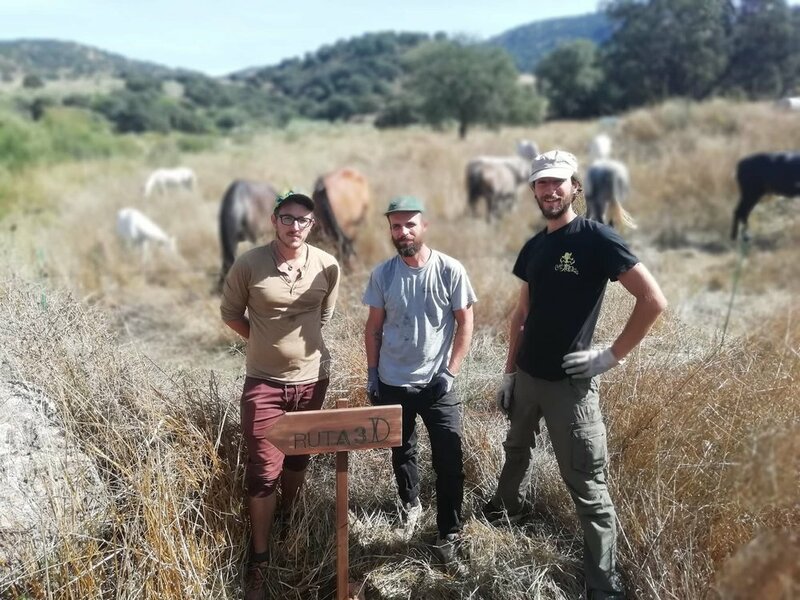 The aim of this project is to propose to our clients a broader view and perspective of the 700 hectares of la Donaira, as well as to discover the magnificent landscape and nature of the Serranía de Ronda. Hikes are all situated between 700 meters to 1150 meters above sea level: perfect stimulation for the body and the mind, it’s a unique moment to clean the superfluous with fresh mountain breeze and to recharge batteries with powered up sunrays. Some peaks of the new « Rutas » (to remain coloquial) give sight to all the surrounding Pueblos Blancos, such as Algodonales, Montecorto, Zahara de la Sierra, Olvera or el Gastor, as the eagle sees all the lands within its vision. Be prepared to sweat! The Andalusian landscape is rarely flat and straight. 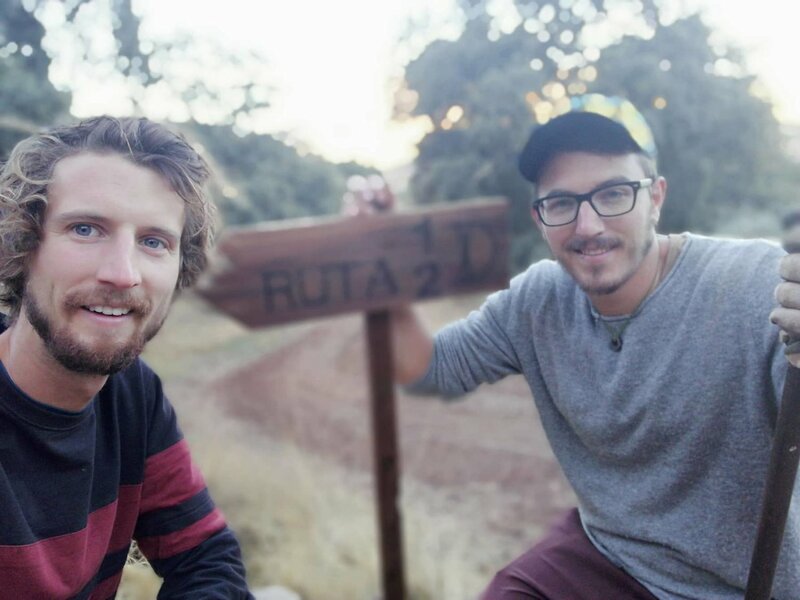 Nonetheless rest assured there are routes for all levels: from a 50 minute round trip, family flat hike to a 2 hour steep advanced level mountain bike loop. Everyone should be satisfied with the seven newly created tracks of La Donaira. Only bike tours require previous mastery, since Nature has imposed upon us many terrain challenges. 1 – “Adventurous hikers”, choose to go by themselves, guided by the aquarelle maps designed by our beloved and talented Swedish graphic designer Camilla Polfeldt, road signs are also here to point the way of the hacks. On our quest to blend traditions with modernity, the technological option is also available: all tracks have been saved into the Wikiloc GPS application, from where it is possible to follow the progression in live situation. 2 – “Pick a Guide and go”. 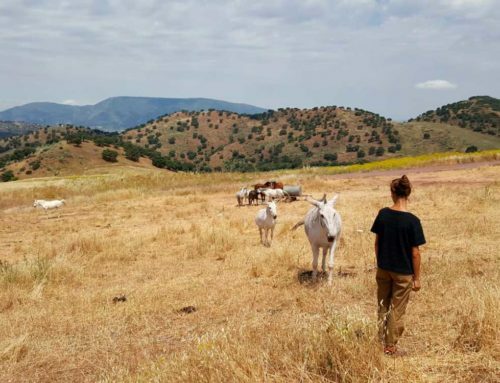 With this option one guide is available for you on site, and Woofers (volunteers from the Worldwide Organic Organisation Farming network) have also been trained to the routes to lead you the way. “We won’t get lost”, says Khalissy the mare. It is La Donaira’s manifesto to inspire and connect human with nature and its elements: while walking or running you might be surprised by the wild life around the farm under the centenary oak tree forest, where vultures, foxes, wild goats, and more rarely boars and deers can be spotted. With this inspiration we succeed in bringing you to nature, and nature to you. Please enjoy these routes and guides while you are our guest.